Hwang Eun-Byul (Ham Eun-Jung) and Hwang Geum-Byul (Lee Joo-Yeon) are fraternal twins, but look different. Eun-Byul works at publishing company and as a ghost writer. Geum-Byul works as a leader for the public relations department at a fashion company. Since they were children, their mother has clearly favored Hwang Geum-Byul. Hwang Eun-Byul has had to make concessions to her sister. Hwang Eun-Byul then marries Choi Han-Joo. Choi Han-Joo’s family and the family of Hwang Geum-Byul’s husband are enemies. The two families through the sisters find middle ground. 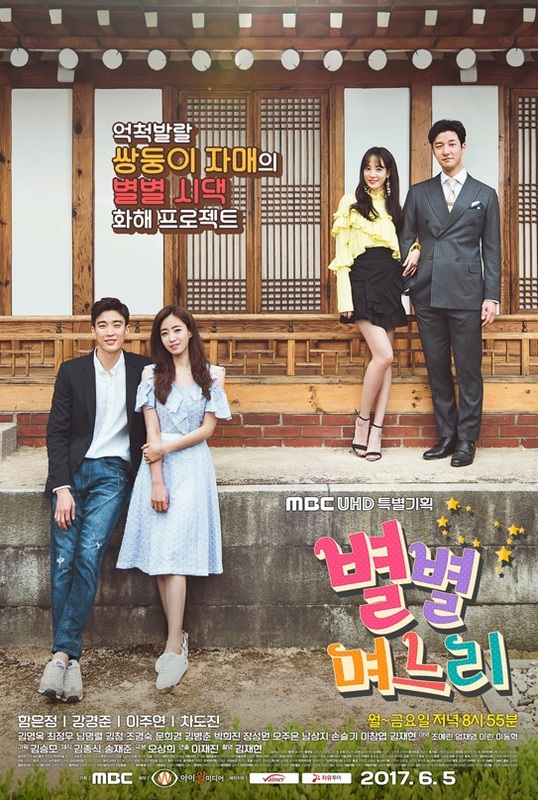 "All Kinds of Daughters-in-Law" takes over the MBC weekday 20:55 time slot previously occupied by "Golden Pouch." First script reading took place April 6, 2017 at MBC Dream Center in Ilsan, South Korea. Suzie Dec 25 2018 12:44 pm What the song title when eunbyul kissing on the street episod 17? Lee Seohwa Apr 25 2018 5:06 am Waikiki brings me here because Kang Kyeong Jun is so good at acting syndrome lead! Park Eun Ho Nov 14 2017 10:43 am This drama is amazing. I love it so much I am just so upset that they cut it from 120 eps to 100 eps. It's probably because they were not doing so well in korean ratings, but everyone globally liked them. It's like BTS they are not very famous in Korea but are famous nationwide. Shawn Nov 07 2017 2:53 am This drama and cast are soooo amazing!! I love all the couples involved, especially Dong Joo and Ji Ho!! I hate that the episodes were cut to 100!! This one deserves high ratings! So many are missing out on this gem!! I am calling it now! Ji Ho will be the one to have twins per Grandmother's dream!! kisseslhen Oct 31 2017 5:58 am Oh my...when will the show will resume? ? MightyMyke Oct 27 2017 4:40 pm Guess we'll have to be patient. Could be an indefinite wait due to MBC/KBS union strike. Many shows postponed or cancelled. Brian Nguyen Oct 24 2017 9:01 pm What happened to episode 89 and 90? Shawn Oct 24 2017 12:27 am So does the MBC strike mean we won't get to see the end of this drama?? Shawn Oct 12 2017 4:23 am This drama is amazing!! It keeps getting better and better and better!! I realllly love Dong Joo and Ji Ho as a couple as well as Eun Byul and Han Joo and Guem Byul and Min Ho!! The continuity has been great and the evolution of the relationships all around has developed wonderfully! from the sisters to the brothers-in law to Eun Byul and her mom and Dong Joo and Ji Ho!!! 84 epsidoes in and I want more!!! Can't wait to see it next week!!! After that it's just revelation! It does get better around the 50 episode mark but overall the drama cliche but is rather enjoyable, I think it has a lot to do with the episodes being short because we're so used to the 40mins or 1 hour episodes whereas, this is only 20 minutes! Ham Eun Jung does a really good job in this drama, her character has to deal with a lot of unfairness and has a lot to do with standing up for herself and this drama really shows her acting in that aspect, tackling life, marriage and dealing with favoritism. She is really good at a lot of things and I believe she could shine if she keeps up her acting career, if her music group doesn't last! I recommend everyone to watch this for Eun Jung and her acting as the story unfolds because for me it's honestly so good and underrated! Dramaexpert Sep 14 2017 2:27 pm Am I the only one who thinks that the writer exaggerated the feelings of the parents? The couples are 30+ years old adults and not 20 years college students who're just getting married. Especially Han Joo's mom is extremely overreacting in the episodes 49-52. She's worser than the other moms. She thinks like she's the only person hurting while HJ and EB are the two people who went through hardships and gave up everything even the grand-mom forgave them. She isn't even helping her husband with his trial. I'm also getting tired of GB fakeness and her mom is in every episode crying jeez. What I like most about this drama is how short the episodes are since it's 60+ episodes. Charmaine Sep 12 2017 4:53 am This is the best Kdrama I ever watch? Dave Sep 08 2017 8:00 pm Nicky, Don't be discouraged. There are much better dramas out there. Yizhen Sep 08 2017 2:15 am I watch episode 64.im so excited and more thrill more episodes. Shari Sep 07 2017 1:02 am I am only at Ep 38, has Eun Byul smartened up at all???? She falls for her mother's BS all the time. It is rather tiring. Both she and Han-Joo need to get more pro-active and get their act together a bit more. Smart mouth Min-Ho and Gem-byul always make up lies about EB and HJ and blames them for everything. Her GB's mother believes everything she tells her. It gets tiring. Annie Aug 16 2017 11:09 am I've watched up to episode 50 and it's my favorite currently airing show just because the families are funny and the show is light entertainment. Shari Aug 16 2017 2:02 am Does any one know why Dong Jo's co-worker is helping him taking revenge on MH's family????? What is his motivation for doing that??? GB doesn't feel her sister is worth having a guy that is "gold!!!" How ridiculous is she!!! GB is the one whose husband is not "gold," Han Joo is all the way. He may not have money, but he is worth his weight in gold for being a down to earth honest guy just trying to make a living. Brian Aug 07 2017 8:59 pm I'm so excited to see Eun Jung acting again! I watched an episode today on MBC, I was wait a second, that girl is Eun Jung! She's so pretty and I've liked her ever since she acted in Coffee House and of course Dream High and other shows! AndrewF Jul 28 2017 1:37 am I am rather surprised that greedy mother Yoon So-Hee is OK with your loser son to marry Geum-Byul!! In most of these dramas, if the family is "rich" or well to do, they do not let their children marry below them monetary wise. While the 2 mothers are friends, it is obvious Geum-Byul's family does not have the financial assets as Park Sang-Goo's family. Geum-Byul  is one anorexic, conniving, shark of a person. Na Myung-Ja  made her that way  She has some screws missing also. How long  is Eun-Byul going to put up with her sister's B.S.???? Min-Ho thinks he is so great also. The two idiots are a match made in even =GB and MH. 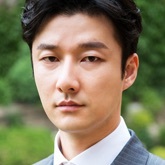 Han-Jo is a nice guy and has been raised much better compared to Min-Ho. Nicky Jul 26 2017 11:53 am This is my first daily drama but I not sure if I can stick it out for 120 episodes because every day the same thing keeps happening. The mother is keeps abusing one child and idolizing another, the girls and husbands keep fighting about the same things. I only really love HJ mother and grandmother everyone else lies all day or are spineless. Ahn Jul 11 2017 12:10 am Very addicting show so far. A nice break from the short dramas. Leanne Jun 24 2017 3:01 pm So happy to see Eunjung casted in a drama as a main role again. She has great potential in acting since the beginning but sadly due to that fabricated lie causing scandal for her and T-ara everything went downhill for them. It's been a very long tunnel Eunjung but you girls can finally see the light. Five years of long struggle and heartache. This is just the start of brighter things that awaits you. Bless you and T-ara you're all strong! Ajah! P.s: Hope Jiyeon starts acting again too. Waidi Jun 06 2017 11:57 am Ohh great drama. Waiting for next episode. ??? Mary Jun 06 2017 4:28 am First episode was good. I can't wait for more development. Hwaiting! Magz Jun 06 2017 4:25 am I am stoked that Eunjung is back as lead. She made DreamHigh drama better for me. Hope she will gain back more love. She deserves it. She's been working hard. Min Jun 03 2017 7:53 am I love u, Eunjung unnie ? Rin May 30 2017 11:56 pm Eunjung fighting!!! Yuu Rachel May 27 2017 5:12 am Ham EunJung, cheer up!!! Fighting!!! Melody Apr 25 2017 9:56 pm I am so excited to see Ham Eun-Jung star in her own drama after such a long time. I hope the drama is successful. Hopefully it will be the beginning of more open doors to star in other major dramas and movies.